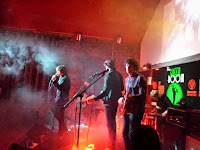 Our first visit to Perth’s premier music venue sees a wide range of talent on display from throughout Scotland. Stuart Ralston enjoys a short commute for once and is suitably impressed. 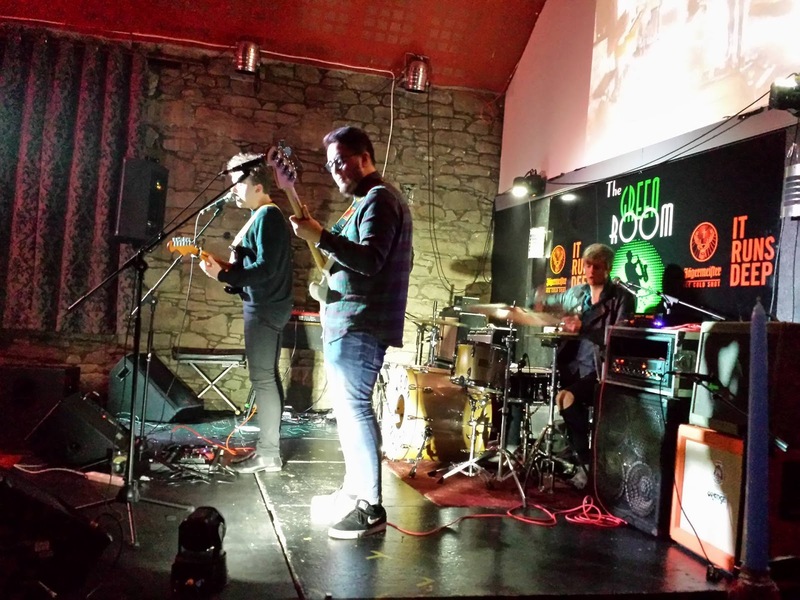 Perth's Green Room prides itself on providing live entertainment seven nights a week - something many venues in some of Scotland's bigger cities can't manage. 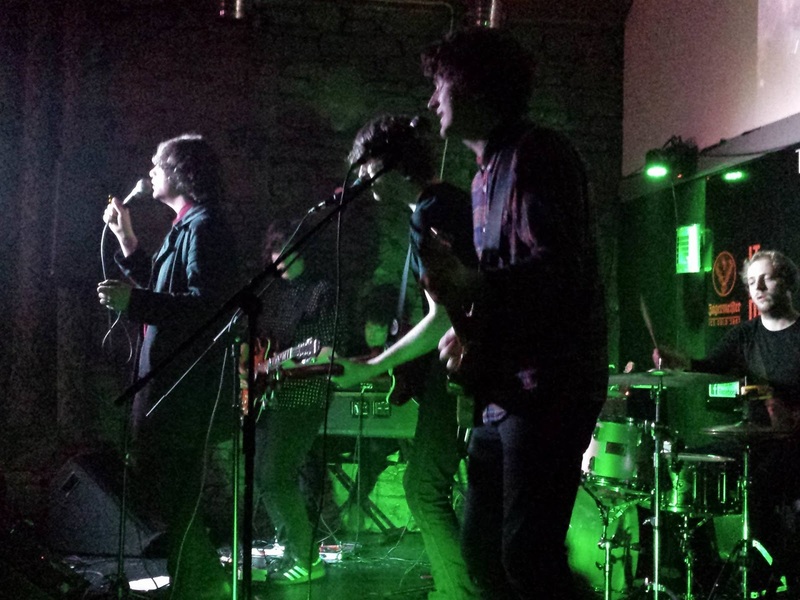 By the time headliners Neon Waltz take to the stage (with a much later start time than many Glasgow or Edinburgh venues) there is a healthy crowd assembled. Preceding them is a broad spectrum of talent drawn from across the country. First up are baroque influenced folkly five piece Woodwife. Singer Freya delivers stunning, powerful vocals throughout their set. Sounding not unlike Patti Smith, the band assembled around her play atmospheric folk rock. At times you can hear a pin drop in the audience as the band deliver their own little symphonies. They take their craft seriously and are definitely worth a listen. Friend Of A Friend from Edinburgh (not to be confused with the Manchester band of the same name) are up next and deliver sharp punk pop. Operating as a trio tonight, they barely pause for breath as they rattle through a set of four minute nuggets. With their incredible powerhouse drummer, they stand out from the pack of other young beat combos and we look forward to hearing more from them. 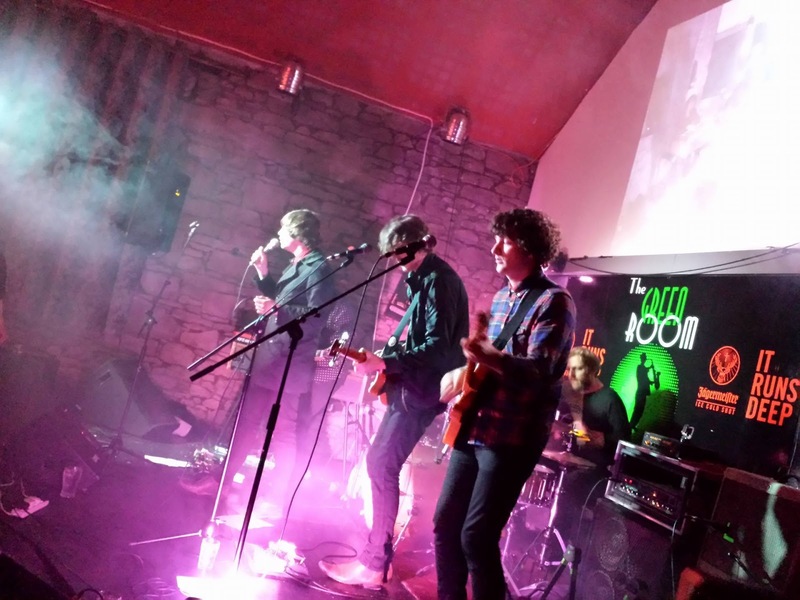 Headliners Neon Waltz, from Wick, are currently riding the crest of a wave. With their brand of psychedelic tinged pop, it is easy to see why with a burgeoning set containing gems such as Bring Me To Light. 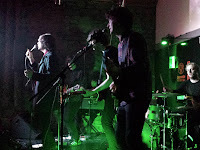 Formed only last year,the set opens with the fast paced Steadily I Float before the curiously titled Demo 5, which contains just the right amount of ‘60s swagger. 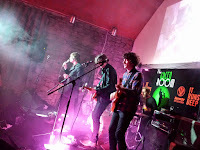 You can trace their influences back from The Roses to Primal Scream, The Faces and The Stones. 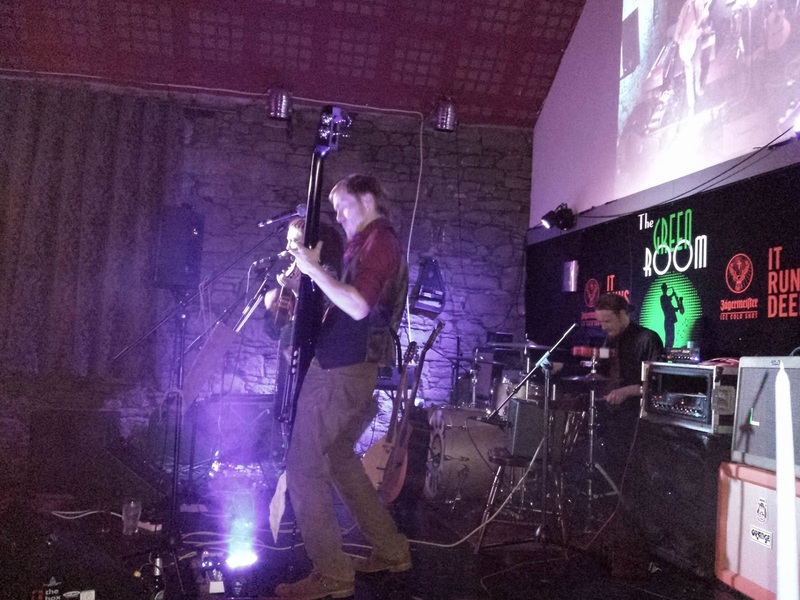 The band take the opportunity to road test some new material such as David Lynch. Whilst not as fully formed as some of their other tunes, it nevertheless demonstrates their potential. The aforementioned Bring Me To Light is already a classic. With a nod to the poppier end of Joy Division, it should open the band up to a wider audience. Watch It Fade sees them deliver yet another future classic. 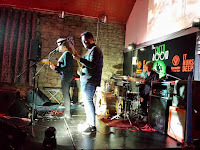 Bare Wood Aisles sees the band at their best - the perfect combination of psychedelia, heartfelt vocals, a storming rhythm section and some neat guitar riffs. A faithful cover of PJ Harvey’s Last Living Rose and a storming Perfect Frame bring the set to a close. This low key show allowed the band to road test some new material as well as winning over new fans in the process - it’s a free gig and quite a few folk are here this evening out of curiosity. Full credit to The Green Room for putting together a great show. Hopefully it won't be long before we catch Neon Waltz again. Woodwife's official website can be found here. They are also on Facebook and Twitter. Friend Of A Friend are on Twitter and Facebook. Their tour continues at Stockton Ku Bar (October 29), Edinburgh Leith Theatre (30), Dundee Beat Generator (November 30), Irvine Harbour Arts Centre (December 1), Manchester Apollo (2, with Noel Gallagher's High Flying Birds), Scunthorpe Cafe Indiependent (3), Dunfermline PJ Molloys (4), Inverness Mad Hatters (5) and Wick Harpers Dance Hall (19).